Jack is a very pleasant elderly male who underwent previous attempted lumbar fusion by another surgeon. His surgery performed was a traditional open spinal fusion with a long incision. He spent several days in the hospital after this original operation. Unfortunately, even after the surgery, Jack’s pain continued, and in fact, worsened. Because of Jack’s continued pain, he sought out a second opinion with Dr. Steven Anagnost MD, who specializes in Minimally Invasive Spine Surgery. X-rays and CT scan showed the fusion surgery that Jack underwent did not work. Even though Jack had had previous open traditional spine fusion, he was still found to be a good candidate for minimally invasive spine surgery with Dr. Steven Anagnost MD. Jack underwent his surgery with Dr. Anagnost successfully and left the hospital the next day, walking on his own, and with significant relief of his back pain and leg pain already. 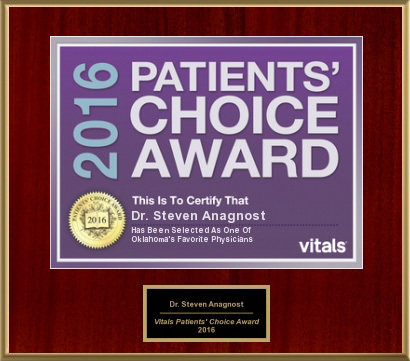 Watch Jack’s video testimonial to hear the results of Minimally Invasive Back Surgery with Dr. Steven Anagnost MD.